The Russian scentists from Deta Elis have been experimenting during the last 20 years and have actually progressed to the point of having manufactured their own range of Bioresonance Treatment (BRT) portable devices. 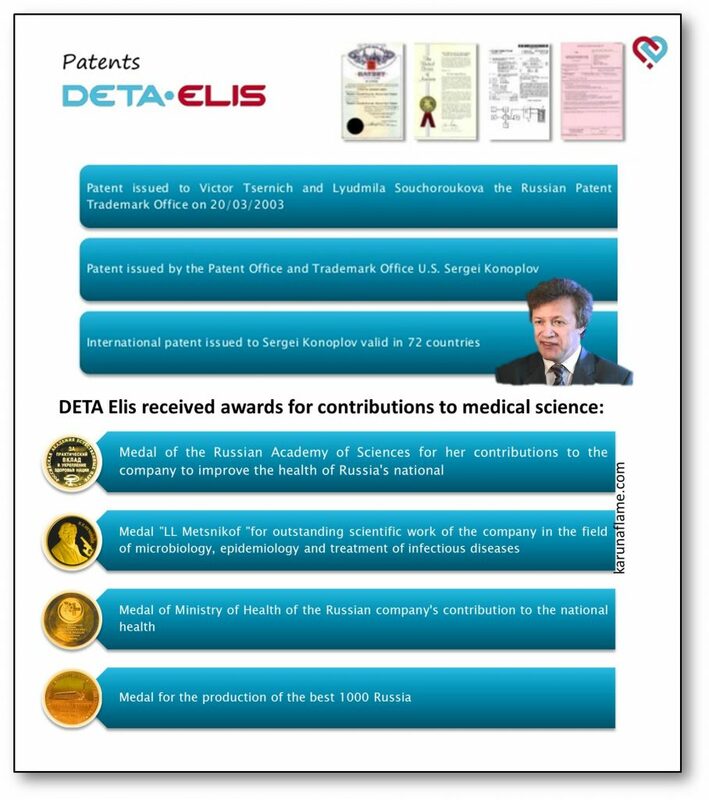 The Deta Elis company is spearheaded by their top scientist Dr Sergei Konoplov, a medical doctor, PhD physicist and electronic engineer. To date, company has conducted 117 clinical trials in different medical facilities throughout Russian Republic. Given the language barrier between the Russian East and the English-speaking world, a lot of these research findings have not been released, except the ones listed below. This report was prepared on 17/11/1995 by the Consultant of the Central Military Hospital of Moscow, Dr. Betsoyk and Dr. Volkov. This study included 20 patients aged 40 to 60 years with diseases of the peripheral nervous system (inflammation of the spinal nerve root), first and second stage hypertension, sleep disturbances and vasomotor rhinitis. In some of these cases the patients had seen improvements after only one session with the Deta devices. In 80% of the cases there was considerable improvement and in 70% of the cases the blood pressure had normalized without using any other medication. Another notable observation was the complete ameliation of pain in these patients. Insomnia was also improved considerably. In this pilot study, it is clear that the Deta devices used alone can help many different neurological symptoms, as well as helping in cases of hypertension. Pediatric Clinic No. 1, Borones (Russia) – effectiveness of the Deta-AP and Deta-Ritm devices on 341 Children with Various Diseases. 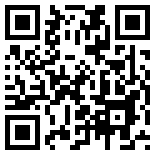 Portable DETA devices can be programmed with 30 different treatment options. The survey was conducted from March 2003 to April 2005 under the supervision of assistant consultant, Dr. Gkolopkoba and T.B. pediatrician Dr. Nteineka. 341 patients were treated with the Deta devices, aged from 7 to 15 years. Problems with vision (myopia, presbypoia and astigmatism) – 166 patients. Problems with gastrointestinal system (chronic inflammation of the duodenum, colitis, bile dyskinesia) – 18 patients. Autonomic Nervous System problems – 130 patients. Musculoskeletal problems (scoliosis and osteochondrosis of the vertebral column) – 18 patients. Respiratory problems (bronchial asthma, bronchitis) – 9 patients. The improvements that many of these children had were really quite remarkable, given that the only treatment they received was with the Deta-AP and the Deta-Ritm – no other medication was used. This research was designed to determine the efficacy of the DETA-AP therapy devices with patients suffering from a clinically diagnosed Pelvic Inflammatory Disease (PIF), associated with Chlamydia, Mycoplasma, Ureaplasma, Cytomegalovirus (CMV), herpes II, and Human Papillovirus (HPV). GROUP 1 – took only antibiotic and antiviral prescribed medication for treating Chlamydia, Mycoplasma, Ureaplasma, Cytomegalovirus (CMV), herpes II, and Human Papillovirus (HPV). GROUP 2 – A combined treatment using the same medications as above, along with the Deta AP therapy device. GROUP 3 – Using only the Deta AP therapy device. The 45 women taking part in these clinical trials were aged between 18-42 years (mean: 29 years) being treated on an outpatient basis in the maternity welfare centre № 10 of the Medical and Preventive Treatment Institution of “Maternity Hospital № 4” of Nizhny Novgorod State Medical Academy, Russia. The Principal Investigator was Prof. Borovkova, Head of Department, and Dr Pershin, Assistant Head. All the woman included in the research had been clinically diagnosed with PID (both acute and chronic) and had clinical tests indicating the presence of chlamydia, mycoplasma, ureaplasma, CMV, herpes and HPV infections. The tests were conducted using enzyme multiplied immunoassay data and fragment detection of pathogen DNA by means of PCR. The Local Ethical Committee of the State Health Care Institution of Nizhniy Novgorod District Clinical Hospital n.a. N.A. Semashko approved these clinical trials which were voluntary. GROUP 1 – those that combined prescription medication with the Deta AP bioresonance therapy devices. There was also a 3rd group of 55 women, aged 18 – 42 years, that received only prescribed medication. The women using the Deta AP therapy devices ran them for an average of 40 – 60 minutes – there were three programmes ran every other day along with detoxification programmes. There were frequent clinical examinations conducted to determine progress using clinical pelvic examination, ultrasound, thermography as well as blood analysis and microbiological assay of vaginal samples. It is interesting to note that the overall success of treatment using only prescribed medications was about 60 – 65%. This was for the treatment of the various microorganisms in question. When the medications were combined with the use of the Deta AP device, the treatment outcome increased to 87 – 92%. When the Deta AP device was used alone with no medications given, the treatment outcome was 85%. The absence of any adverse side effects using the Deta AP devices resulted in the researchers concluding that bioresonance therapy was an excellent way of treating the underlying microbial caused of Pelvic Inflammatory Disease, either in the clinical setting or at home. TB2 – The aim of this clinical pilot study was to determine the efficacy of the Deta AP bioresonance devices with patients that had been clinically diagnosed with Pulmonary TB, including multiple drug-resistant TB. The trials were conducted at the State Health Care Institution of the Yaroslavl Region Regional Clinical Hospital for Tuberculosis, Russia. Twenty five patients having tuberculosis were tested, among them there were 11 women, 14 men and 9 of these patients had multiple drug-resistant tuberculosis. The age of the men was from 24 to 56 years old, the women from 24 to 58 years old. The Deta AP therapy programme “Tuberculosis” was run for the prescribed period of time, once per week for 30 days. Criteria for assessing the efficiency of treatment were clinical, radiological and bacteriological examinations. Radiological improvements were observed in 18 cases (72%); a further 6 cases (24%) had no change and only 1 case got worse (4%). According to the bacteriological examination, a complete eradication of the TB bacterium was seen in 12 cases (48%), BK (-) in 8 cases before and after the examination, with 4 patients that were still positive. It should be noted that all programmes of the devices are well-tolerated, and there were no adverse reactions to the treatment. DETA-AP treatment is safe for TB infections. The applied treatment protocols for TB should be further developed – increasing exposure time, multiple sessions, extending the duration of treatment from one month to 2-4 months.